Arsenal need a proven, experienced winner to take the reins from Arsene Wenger, someone who will make them hard to beat, inject intensity into their game and demand the utmost from players who have allowed their own standards to slip, but won’t completely overhaul the definitive style of football Le Professeur leaves behind this summer and carries the gravitas to still attract top players to the Emirates Stadium potentially without the added carrot of Champions League football. Well, Chelsea look set to part with the perfect candidate in Antonio Conte, whose relationship with the board has always been frosty and could come to an official end this summer. Admittedly, the Italian isn’t exactly a disciple of the Wenger school of thought who builds his philosophy around aesthetic attacking football, but he’s not a mind-numbingly defensive manager either; he simply sets out his team in a manner that will get the job done, choosing the elements involved in his game-plan wisely and always insisting on industriousness with and without the ball. After two decades of Wenger’s idealism, the first far more successful than the second, that dash of street-wise pragmatism and uncompromising energy is precisely what the north Londoners desperately need. Perhaps most importantly, Conte has inadvertently proved himself a bit of a specialist in reviving great clubs that have fallen to their knees. After Juventus finished seventh twice in Serie A, Conte took over in summer 2011 and lead them to three consecutive titles. He then inherited a Chelsea team that had finished tenth the year prior to his arrival, suffering the worst Premier League title defence of all time, and with a shrewd switch of formation quickly transformed them back into the English top flight’s most formidable force. Arsenal find themselves needing that kind of revamp too, a manager who can take them from the cusp of the Premier League’s elite bracket back into the very heart of it in a short space of time. His Italy team at Euro 2016 weren’t too bad either, beating reigning champions Spain before losing to Germany on penalties in the quarter-finals, despite it being a far more modest side than the level of quality expected of Azzurri at international tournaments. And that highlights another strength of Conte’s that will be crucial at the Emirates Stadium, which we also saw when he first arrived at Chelsea; while the 48-year-old has made his feelings about a lack of support in the transfer market loudly heard this season, he’s proved at both club and international level that he can turn a squad into a functioning team, even when aspects of its composition are beyond his control. That’s often involved switching to a three-man defence, but Conte is by no means fixated with that system. With Juventus, Italy and Chelsea, he’s used 3-5-2, 3-4-3, 4-2-4, 3-3-4 and 4-2-3-1, albeit with varying degrees of success. He chooses the formation that best accommodates the talent at his disposal, and that will be vital in turning this talented Arsenal squad into a consistent winning machine. Right now, there’s so many likeminded players in Arsenal’s imbalanced squad that it’s not quite clear who the team should be built around, who should be trusted with crucial defensive duties and who gives the best balance to the team. History suggests Conte will come up with an innovative answer that, one way or another, gets the right results. No doubt though, this season has been a blotch on Conte’s CV. It’s not so much Chelsea’s results, although they have been on the edge of freefall at times, but the manner in which he’s accompanied it by so intentionally made the public aware of his dissatisfaction at Stamford Bridge, particularly regarding new signings. For a club like Chelsea, that’s part of the parcel; they’re always shifting from one crisis to another. But for Arsenal, who have spent so long with Wenger at the helm, that kind of infighting is practically unheard of. It only appears to have further hindered Chelsea’s underwhelming form, and it’s clearly affected his own performance too – the Conte we see on the touchline now is far less passionate, energetic and tactically proactive than the one who arrived in west London two summers ago. There’s been a distinct sense of apathy about him in recent months. But that only adds weight to the theory that Conte and Chelsea will part company this summer, at the end of a debasing season that could still end in silverware, and let’s not forget the Italian lead the Blues to the Premier League title less than twelve months ago. Arsenal won’t find a more recent Premier League winner available this summer, and after that they’re looking at Manuel Pellegrini and Claudio Ranieri – two successful managers under the right circumstances, but not in the same category as Conte when it comes to winning trophies or one-off games. 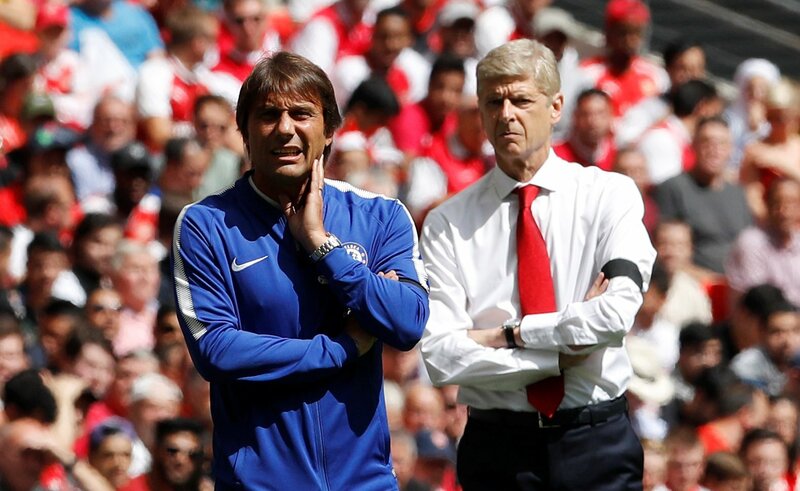 What’s more, if there’s anything for Arsenal to take from Conte’s potentially final year at Chelsea, one that will be remembered for the internal power battle as much as anything else, it’s that they simply can’t treat him in the same way – they need to trust him in the transfer market and allow him to have the final say on his own squad. 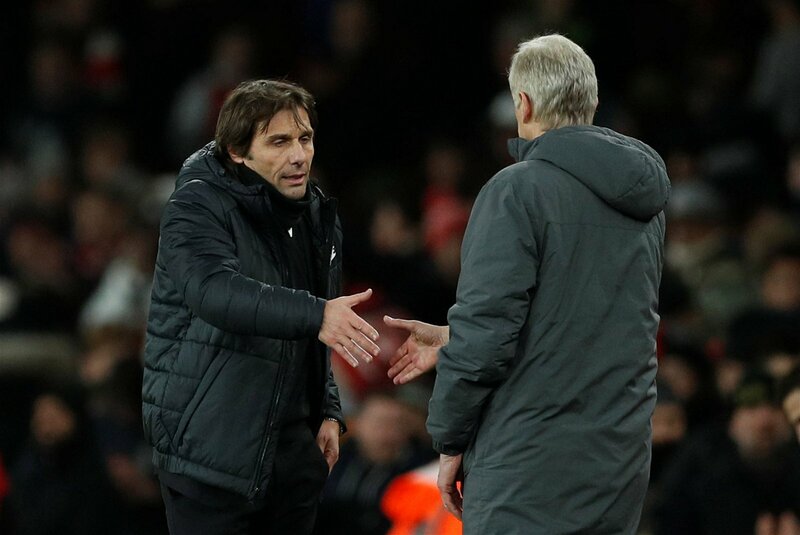 While scout Sven Mislintat looks set to enjoy more control over signings in Arsenal’s post-Wenger era, there will still be more than enough of a power vacuum for Conte to fill at Arsenal. He won’t find himself dictated to by those above him, which is what’s unfortunately happened during the last year at Chelsea. There’s the obvious argument of convenience too; Conte will be able to stay in London, and while joining Arsenal would be controversial it certainly wouldn’t be impractical for the Italian. That should keep any contract negotiations short and sweet as well, although it’s often been alleged that Conte wants to return to his beloved Italy sooner rather than later. Perhaps the chance to prove Chelsea should have given him more support in the transfer market by reviving their London rivals will be the incentive to convince him to stay in the Premier League just long enough to steady the ship at the Emirates Stadium.